Sequels are overplayed in Hollywood. There’s no doubt about it. The lack of original screenplays are evident when Iron Man has 3 movies, Dumb and Dumber and Anchorman have sequels and every movie Sylvester Stallone is in has a universe that covers 5 decades. In small doses, most of these movies are enjoyable, and for the most part, are profitable at the box office. But there’s only so many times we can watch Robert Downey Jr. fly around in a space suit, or Tom Cruise narrowly escape after he falls out of a building. Repetition has taken the place of creativity. Instead of taking a chance on new ideas and characters, Hollywood has kept their eggs in the sequel basket. While most of these sequels aren’t living up to expectations, the Hunger Games are blowing them away. Maybe it’s because the movies are based on easy to read, action packed books (I wouldn’t know. I can’t read). Maybe it’s because the storyline is different from any other present day blockbuster. Maybe it’s because I’m in love with Jennifer Lawrence and I’m 97% sure we’re soup snakes. Whatever IT is, the Hunger Games is doing IT right. They have a perfect blend of young (JLaw, Hutcherson and Hemsworth) and veteran (Donald Sutherland, Woody Harrelson, Elizabeth Banks, Stanley Tucci) actors. The script is based off the books, who’s blend of story/action translates well to the big screen. The action in the movie isn’t action for the sake of action, it’s necessary action to forward the storylines. What was lacking in the first movie (too much focus on the capital and districts once the games had started) was changed in Catching Fire, and it created a smooth, easy to watch film. The buildup to the actual hunger games was given enough time to explain the plot while developing the characters the director wanted you to care about. The action, which has always been the strong point of the movies, was great. They were able to introduce a new hero (Finnick) while still keeping the spotlight on the relationship between Katniss and Peeta. 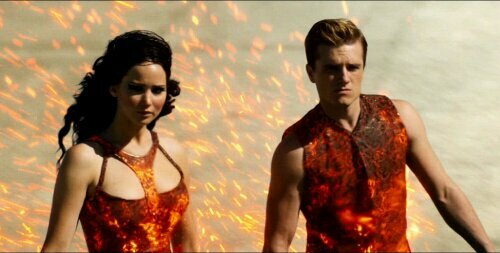 Start to finish, Catching Fire was one of the best sequels in recent memory. For the first time in a long time, when it comes to movie franchises, people should be genuinely excited for what’s to come. 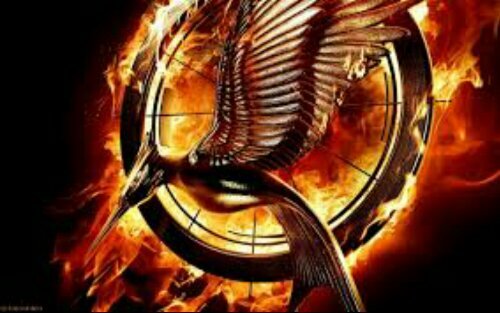 Posted on December 3, 2013, in Average Blog Posts and tagged catching, fire, games, hunger, Jennifer, Lawrence, movies, the. Bookmark the permalink. 2 Comments. Totally agree – I read the books and for once, the movies took an already fantastic plotline and made it even better. I can’t wait for both Mockingjay movies to come out!